These quality silver netball medals are supplied complete with a lined presentation box with an engraving plate on the inside lid. The medals have a bright silver colour finish and feature a netball motif on the front. They include a ribbon loop (ribbons available separately, see below). 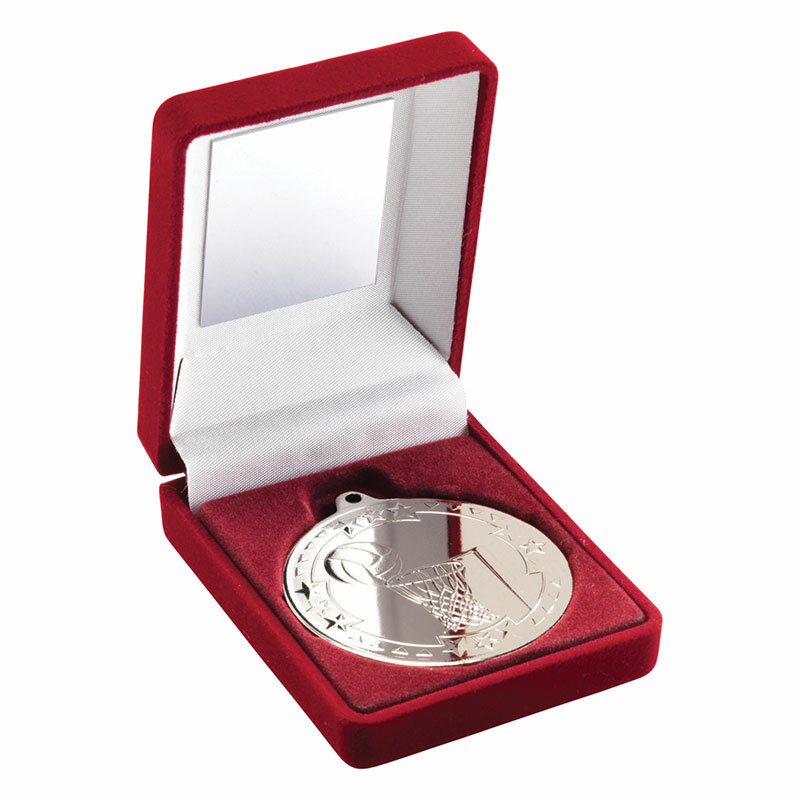 Each 3.5in diameter silver netball medal and box is offered with low cost engraving of the lid plaque.